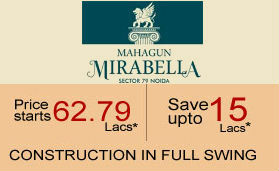 Mahagun Mirabella is an exciting new residential project launched by the respected developer at Sector 79 in Noida. The most unique aspect of this residential apartments is that it is has been built using the exquisite and inspiring Roman style of architecture. The compound which is spread in more than 5 acres of land present the best of living spaces along with well design landscapes and gardens. This property is characterized by many more features and specifications. The complex offers 3 BHK and 4 BHK flats along with 2 BHK flats in Noida for various set of homebuyers. The sizes of these apartments range from 1380 sq ft and 2720 sq ft. 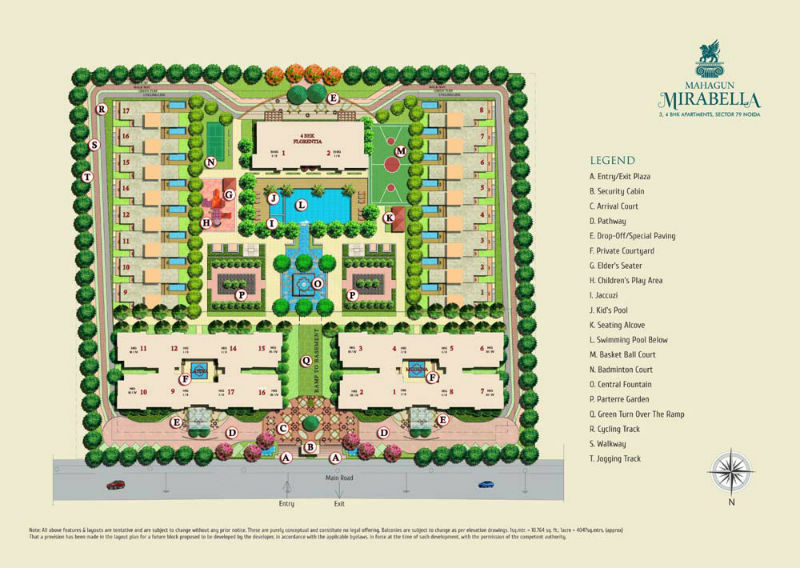 They present the best of modern living in NCR. 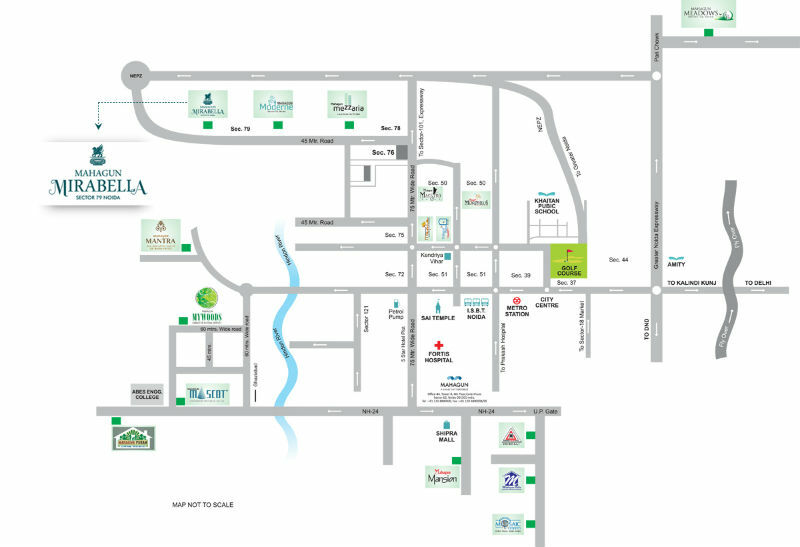 The complex is located in Central Noida, making it near to major localities like Fortis Hospital, Sai Mandir and Noida City Centre. It provides an easy access to major locations in Ghaziabad, Noida, Greater Noida, Delhi, Faridabad and even Gurgaon. The residents can easily access the major road networks like DND Flyway, FNG Expressway, Yamuna Expressway, NH 24 and NH 91. The Mirabella is located near to major social and civic infrastructures which include popular schools, colleges, universities, hospitals, hotels, shopping centres and entertainment zones. The complex is also located in vicinity of a proposed metro network while the present working metro stations of Noida can easily be travelled to from the site of Mahagun Mirabella Noida. This project thus provides many location based advantages. This apartment is loaded with exclusive features. 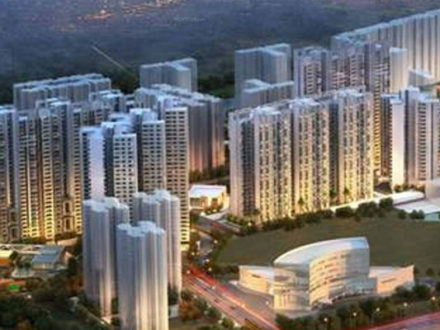 It has been designed by well-known Hafeez Contractor who has won various national and international awards for his works in residential real estate architectural development. The compound has been designed on Roman/Neo Classic style. 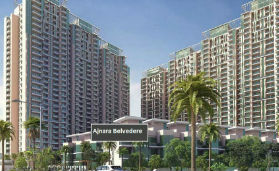 Moreover, the developer uses aluminium shuttering technology in construction of Mahagun Mirabella Noida. The landscape of the complex has been designed by Saidah Taib. The residential complex even has been given a 5 star project rating by CARE real estate star ratings. In addition, it is a certified green project conforming to gold standards of Indian Green Building Council. 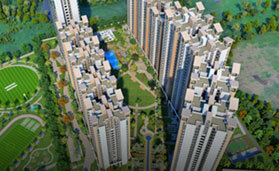 In a bid to create a greener tomorrow, the complex provides a good variety of provisions for the benefit of residents. The complex makes use of recycled water in case of flush tanks. This recycled water is even used for horticulture purpose. The project is also known for making use of energy saving devices such as solar heaters, solar lamps and LED devices. It even provides homebuyers with an electrical charging facility so as to promote the use of electric vehicles. Furthermore, the complex renders provisions like rainwater harvesting, low flow water fixtures, integrations of CFC free and BEE certified electrical appliances. There is even a separate car wash area and garbage room within this property in Noida. Mirabella boasts of a great structure with RCC framework that provides required earthquake resistance to the complex. The constructional materials used in developing the living spaces are of high quality make and finish. Furthermore, the homebuyers are facilitated with specifications like plumbing, fire fighting system, modular switches, power back up, security system, lift lobbies and staircases. The complex also highlights a club facility featuring multi-purpose hall, gymnasium with modern equipment, kids’ play area, swimming pool and a TT room. A good number of amenities are provided at this project. Some of noteworthy facilities offered at this project include Jacuzzi, senior sitting area, central fountain, basketball court, jogging track, cycling track and Parterre garden. The complex provides facilities for different users including people of all age groups. Mahagun is one name in real estate industry that needs no introduction when it comes to quality and delivering of residential and commercial projects. 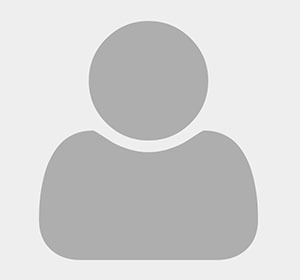 The group has years of experience working in the realty zone of Delhi NCR. With its commitment towards construction of quality real estate spaces, this premier developer has gained a huge favouritism amongst homebuyers and investors. The famed real estate conglomerate has been recently awarded with Housing Excellence Award for the “Best Mid-Segment Developer” in Noida by ASSOCHAM. 24 hrs water supply and power backup.